WHY YOU CAN’T MISS THIS YEAR’S AWARDS ON MAY 23! Join us at the Fifth Annual Girls Write Now Awards on Tuesday, May 23rd at City Winery. We are honoring Swing Time‘s Zadie Smith, Girlboss’ Sophia Amoruso, Broad City‘s Ilana Glazer and AbbiJacobson, Elle.com‘s Melissa Harris–Perry, and Teen Vogue’s ElaineWelteroth as our emcee. If you’re inspired by your best friend, your mother, your wife, your partner, your daughter, your mentor, your mentee — bring her! Maya Nussbaum, Founder and Executive Director, says, “The excitement and enthusiasm surrounding this year’s Awards is unparalleled. Our community sees the importance of supporting the next generation of women and this event gives them an outlet to do just that.” BUY TICKETS! Go from #PageToStage with our mentees and the next keynote speakers: Emma Cline (April 21), Emma Straub (May 19), and Karina Glaser (June 16). Rise Speak Change: The Girls Write Now 2017 Anthology showcases today’s fearless stories. Inside these pages you will find poems, essays, and fiction that are changing the narrative, one girl at a time. Lisa Lucas, Executive Director of the National Book Foundation, writes: “The stories in this anthology harness the power of women. Read them. Share them. 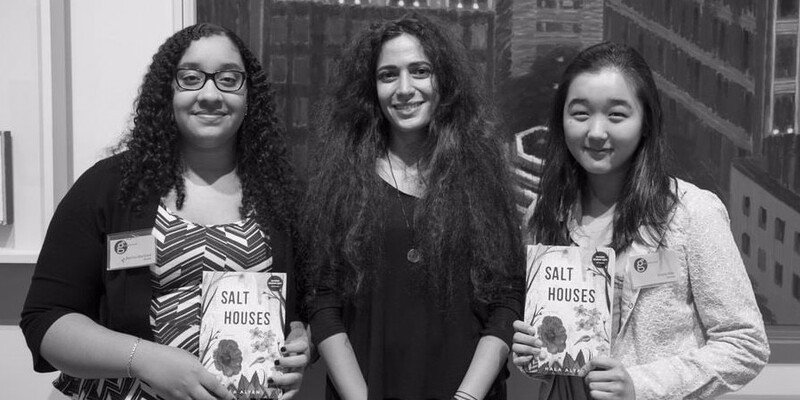 Do whatever you can to make sure that the young women around you know how valuable they are to the future.” We would like to thank Random House for their help producing this year’s anthology, as part of their Random Acts of Kindness initiative. The collection is also made possible thanks to a charitable contribution from Amazon Literary Partnership. Mentor and mentee alumnae! You are part of an intergenerational community of women who are committed to the power of writing and relationships — and we want to hear from you. Please take our short survey to share updates, news, and suggestions. Everyone who completes the survey by April 28gets two discount tickets to the Girls Write Now Awards! We want to stay in touch and learn about how you would like to be involved — let’s reconnect at this important moment for women. 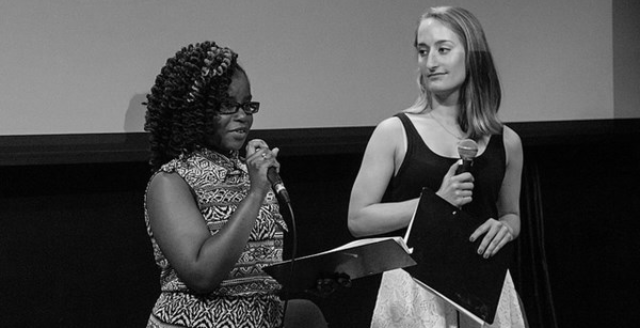 Catch up with alum pair, Bernadette (now a Bard College freshman) and her mentor Mel, and see all that can be accomplished when a girl is given the space to define her own narrative, with a mentor by her side. Enrollment for the 2017-2018 program year launched April 1. Learn more and fill out an inquiry form to become a mentor or mentee starting this fall.